Things are not always what they seem. This is especially true for Ruuko Kominato, when she receives a deck of cards for the popular card game WIXOSS, only to find a girl trapped inside her LRIG, or avatar card. 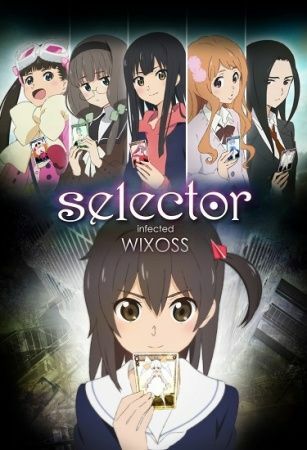 Upon meeting others in the same situation, Ruuko discovers that she has now become a "Selector," a player in a special version of WIXOSS where girls can battle each other for a chance to have their deepest desires come true. However, there is a catch. In contrast to the glory that awaits them after their victories, there is a cruel fate: if they lose three times, their lives will be destroyed.